Sea Freight Tell us what you want. Simple. 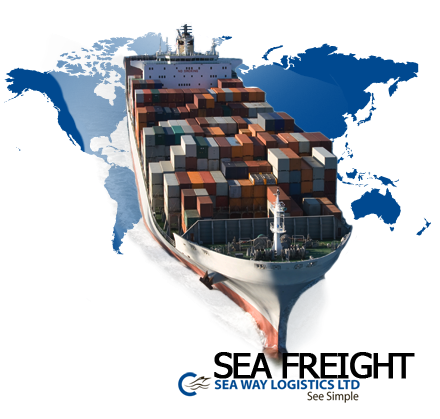 Our Sea freight services are based on agreements and co-operations with the world's leading shipping companies. Our extensive world wide agency network allow us to handle all of your import or export requirements. Whether you have been shipping freight for many years or this is your first time, our team will be happy to give you a free, instant freight shipping rates. Get started, and sign up now. We provide a value added sea freight import solutions comprising FCL, LCL, Drop Shipments, conventional, charter and Ro/Ro movements, providing full customs clearance, bonded warehousing, un-stuffing, distribution and duty & tax payment facilities. We offer a complete air freight export service to our customers including advice on shipment methods, arrangement of bookings on scheduled passenger & freighter flights, full & split charter flights, and securing foreign import documents and services. We cater for all manner of airfreight export movements from single documents to the development of long term, high volume regular cargo arranging both consolidations and direct air shipments. We try harder to satisfy your needs. But we do it simple..